Using a vehicle today is the important for transportation it can be a Bus, Car, Scooter or a Motor Cycle. 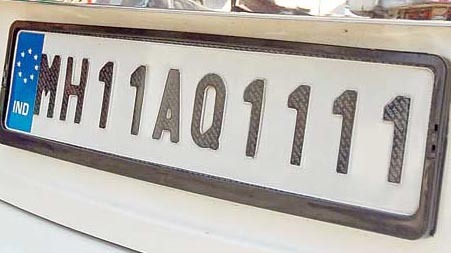 Every vehicle registration has a number which is like the identity of the vehicle. Numerology suggests that number has a meaning and purpose and it should not be ignored. If you want to drive safe and without any obstacles, having a registration number that matches the vehicle owner is important. You should be careful of simply selecting fancy vehicle numbers without first making sure that they are lucky for you. Numbers like, “1000 ” , “8000″ , “7000″. 8800, 8888, 0088, 0888, 0008, 0007, 0018, 1818, 2929, 9292, 3838, 8383, 4747, 7474, 2828, 8282,0013, 1313,0044 may be attractive and fancy but not necessary likely to bring you luck and prove beneficial. Generally people think that they know how to count their own vehicle number. People usually count the numeric values in the registration number of your vehicle and think they have reached the correct value, however that is not correct as every registration number is Alphanumeric and they need to consider the value of alphabet along with numbers. The Alphabet Chart is given below for your reference. Alphabet No. Alphabet No. Alphabet No. Alphabet No. Therefore number 3 is actual value of this car registration number. Number 3 is ruled by Jupiter and now it is important if Jupiter is benefic or malefic planet for you. Jupiter being Guru of the Dev is auspicious planet however If Jupiter is malefic for the individual in whose name the car is registered then it will bring bad luck and frequent problems for the native. I will like to specify here that no planet is bad it can be Mars, Venus, Moon, Mercury, Sun or even Saturn. If the planet is beneficial then it will ensure gains and if the same planet is malefic then it will bring obstacles in its period. Therefore before you shortlist a registration number it will be prudent to make sure that the number will prove lucky for you. If you want to know what number are lucky and favorable for you , then use our Premium Service for detailed analysis. hello viewers, I am a Numerologist and Vastu Consultant, Astro Adviser, Palm reader, from Nellore district in Andhra Pradesh, india. I have done '' ADBUTHA NUMEROLOGY '' two years course by the observation of Dr. Jay K .; CA 91344 U.S.A. I also have received " JOTHIDA MAMANI" and a regular writer on monthly magazine named "sri gurudatta jyothisha peetam". i can give you the remedies based on the above subjects, specially i can give you fast remedies based on Numerology. Hello Sir I am buying a car and want to know the car registration number which will suit me by my name & birth date.My DOB is 11/09/1980. You can look at my Paid service for your detailed answers. my date of birth 10/12/1970. Sreenivas here & I am looking for new bike. Color and number. Questions regarding Numerology will only be answered if you come through Paid Consultation.